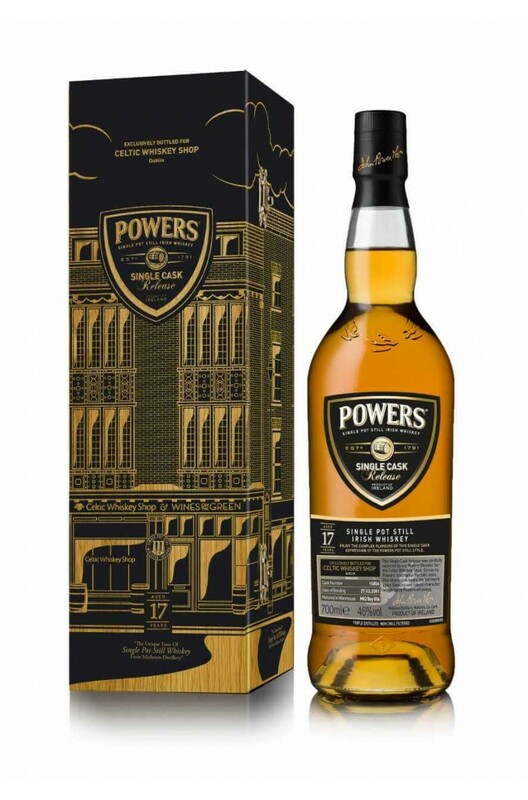 The Celtic Whiskey Shop continues its tradition of exclusive Powers Single Cask Releases with this bottling. Its barrels are carefully handpicked from the Midleton Distillery and only the best are bottled. Each release is special with its own unique flavour profile and very limited availability- in this case just 264 bottles. Taste Shows some classic Power character. The oak is vibrant but well balanced. Touches of toasted spices, roasted nuts, cocoa, vanilla and honey. FInish- The oak persists to the end giving some lovely complexity. Nose A nice balance of earthiness, fruit, and spice. Touches of chocolate, oak, char, mocha, dried citrus peel, cinnamon and nutmeg.